1 C None No Power Seat 1 C is a standard First class seat however, the proximity to the lavatory and galleys may be bothersome. 1 E None No Power Seat 1 E is a standard First class seat however, the proximity to the lavatory and galleys may be bothersome. 12 A None No Power Seat 12 A is a standard Economy class seat that has extra legroom due to the exit in front but also has limited recline due to the exit row behind. 12 B None No Power Seat 12 B is a standard Economy class seat that has extra legroom due to the exit in front but also has limited recline due to the exit row behind. 12 C None No Power Seat 12 C is a standard Economy class seat that has extra legroom due to the exit in front but also has limited recline due to the exit row behind. 12 D None No Power Seat 12 D is a standard Economy class seat that has extra legroom due to the exit in front but also has limited recline due to the exit row behind. 12 E None No Power Seat 12 E is a standard Economy class seat that has extra legroom due to the exit in front but also has limited recline due to the exit row behind. 12 F None No Power Seat 12 F is a standard Economy class seat that has extra legroom due to the exit in front but also has limited recline due to the exit row behind. 13 A None No Power Seat 13 A is a standard Economy class seat that has extra legroom. 13 B None No Power Seat 13 B is a standard Economy class seat that has extra legroom. 13 C None No Power Seat 13 C is a standard Economy class seat that has extra legroom. 13 D None No Power Seat 13 D is a standard Economy class seat that has extra legroom. 13 E None No Power Seat 13 E is a standard Economy class seat that has extra legroom. 13 F None No Power Seat 13 F is a standard Economy class seat that has extra legroom. 2 A None No Power Seat 2 A is a First Class seat that may not recline. 2 C None No Power Seat 2 C is a First Class seat that may not recline. 2 D None No Power Seat 2 D is a First Class seat that may not recline. 2 E None No Power Seat 2 E is a First Class seat that may not recline. 3 A None No Power Seat 3 A is a standard Economy class seat that may have restricted legroom. 3 B None No Power Seat 3 B is a standard Economy class seat that may have restricted legroom. 3 C None No Power Seat 3 C is a standard Economy class seat that may have restricted legroom. 3 D None No Power Seat 3 D is a standard Economy class seat that may have restricted legroom. 3 E None No Power Seat 3 E is a standard Economy class seat that may have restricted legroom. 3 F None No Power Seat 3 F is a standard Economy class seat that may have restricted legroom. 9 A None No Power Seat 9 A is a standard Economy Class seat where the noise from the engine can be loud. 9 B None No Power Seat 9 B is a standard Economy Class seat where the noise from the engine can be loud. 9 C None No Power Seat 9 C is a standard Economy Class seat where the noise from the engine can be loud. 9 D None No Power Seat 9 D is a standard Economy Class seat where the noise from the engine can be loud. 9 E None No Power Seat 9 E is a standard Economy Class seat where the noise from the engine can be loud. 9 F None No Power Seat 9 F is a standard Economy Class seat where the noise from the engine can be loud. Hainan Airlines offers a wide variety of musical selections. Overhead TVs are located throughout the aircraft. 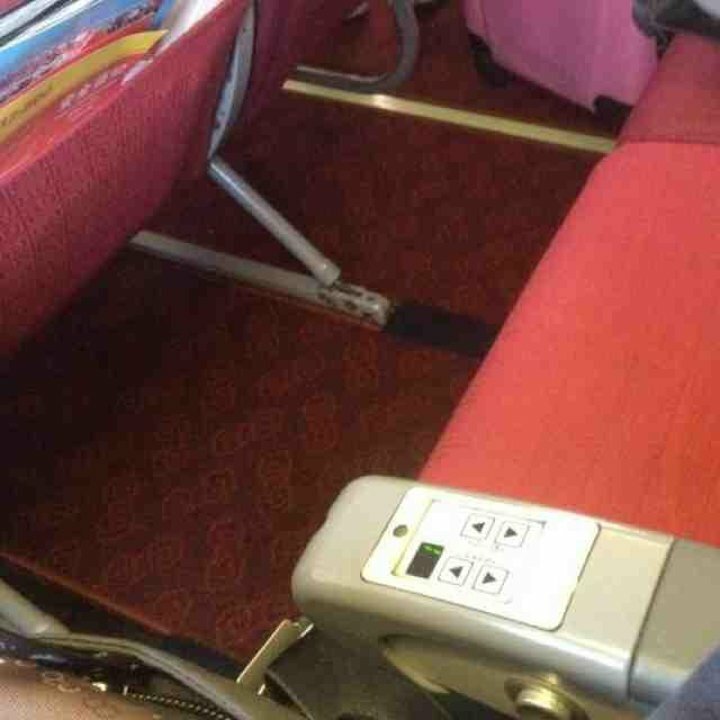 Hainan Airlines' Boeing 737-800 is flown in a two class configuration with 8 recliner First Class seats and 156 standard Economy Class seats. First/Business: Plenty of leg space. 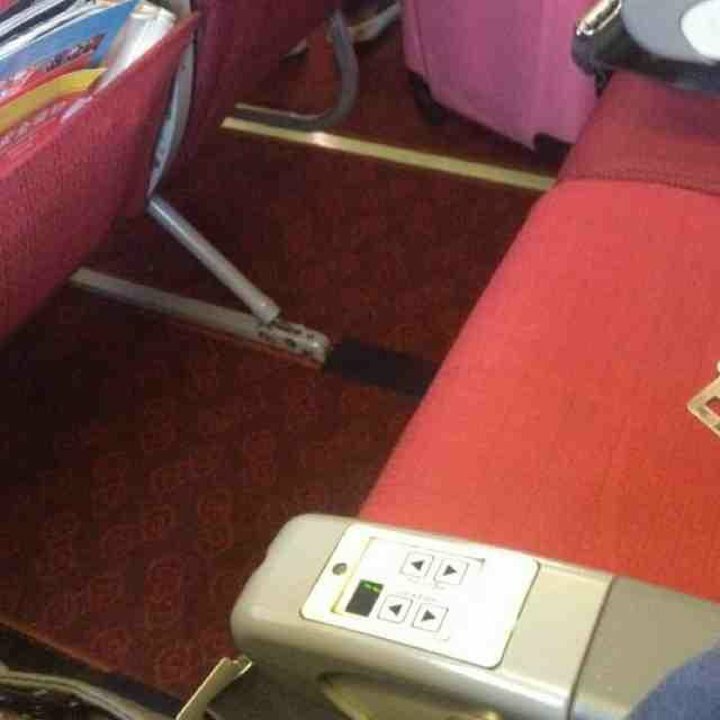 Seat pitch is much longer than other Chinese airlines on short haul flights. The seat is next to the wing so it is very noisy. 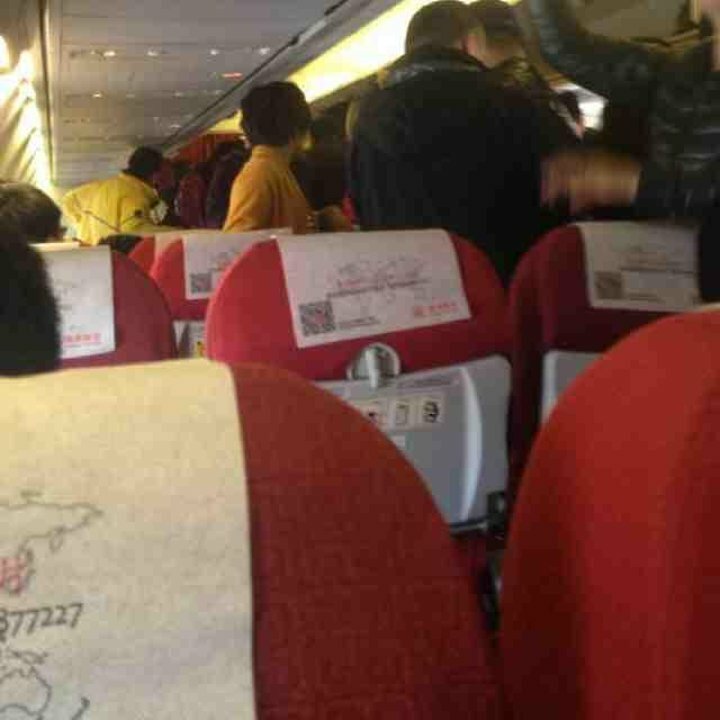 Hainan Airlines flies 1 versions of Boeing 737-800.